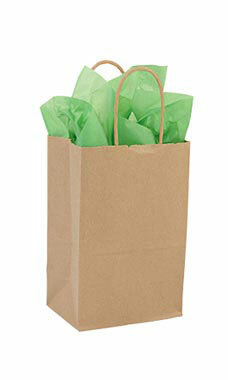 Small Kraft Paper Shopping Bags are a versatile choice for jewelry stores, gift shops, and boutiques. Though they are small, they are also durable. Each shopping bag has a Kraft paper handle making them easy for customers to carry and a gusseted bottom making them self-standing and easy for retailers to load. Sold in cases of 100.